Analyzing 25,000 individual observations, wildlife managers find clues to help stop poachers in their tracks. January 12, 2015 — Traveling in small, nomadic groups, carrying knives, axes and steel traps, tiger poachers in India have long held advantages over those trying to protect the big cats. 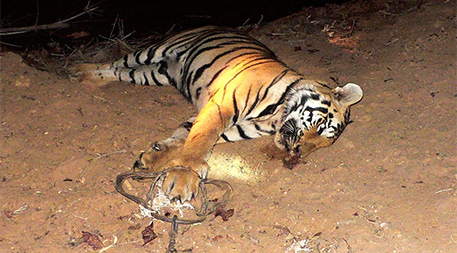 The poachers, motivated mainly by demand for tiger bones used in traditional medicine in China, return every two to three years to places where they know “every stream and rocky outcrop” and set traps along tigers’ pathways or near watering holes, says Belinda Wright, executive director of the Wildlife Protection Society of India. They are seldom caught. 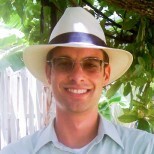 “An intelligence network is the most crucial step in curbing tiger and wildlife crime.” — Belinda WrightThe study, published in the journal Biological Conservation, applied a new method to estimate the probability of occurrence and detection of tiger crime in various areas of India, then used it to identify 73 key “hot spots” with high likelihood of tiger poaching and trafficking in tiger parts. According to the authors, it could lead to more efficient anti-poaching efforts by giving conservationists, enforcement officials and forest rangers working to save the tigers the ability to home in on where enforcement is needed most and thus improve the odds of saving India’s imperiled national animal. Can big guns kill the poachers?